Whether you’re moving to a city without reliable and affordable mass transportation, starting your first job, or expanding your family, the decision to add a new vehicle to your life is a big one -- and choosing the make and model of your next set of wheels is the easiest part. Paying for a new or used vehicle is one of the most significant expenses individuals and families incur, other than housing costs. If you find the prospect of saving up for the full price of a car upfront or securing an auto loan daunting, you may want to consider leasing a vehicle -- through leasing a car is not for everyone. Below are some of the pros and cons of leasing a car instead of buying one. If you’re looking to keep your monthly expenses low, a lease might be a good option for you. A typical car lease payment can be up to 60% lower than your monthly payments would be if you were purchasing the same vehicle and financing it with a traditional personal auto loan. The warranty is also a huge plus: it can be incredibly frustrating when your newly purchased car has a major mechanical problem shortly after the warranty runs out and you don’t have comprehensive coverage. With a lease, you never have to worry about anything happening to your vehicle: No matter what, you’ll be covered. You also don’t have to go through the stressful, costly, and time-consuming process of selling your vehicle and haggling over the price. Cars depreciate quickly, and they’re hardly an investment unless you’ve purchased a rare or classic car: Leave the hassle of dealing with a depreciating asset to someone else. You will likely pay more over the long haul than you would if you had purchased the vehicle. Making monthly payments constantly during the life of your lease does require a stable and predictable lifestyle – or at least a stable and predictable source of income. Losing your job or incurring a major medical expense can upset your finances, so it’s important to have a backup plan in case something happens. When you have a lease, it is harder to get out of the contract than it might be to sell a used vehicle. Leases also have lots of terms you have to meet, or you will have to pay steep fees. Simple things like driving too many miles or procrastinating on regular maintenance can cost you a lot of extra money. If you do decide to take on the responsibility of a lease, make sure you read the fine print! It’s also important to realize that because having a lease has a lot of great perks, you’ll often pay more in the long run for a comparable vehicle if you lease it rather than buying it. While selling a vehicle is seldom a money-making operation, you’ll at least get something in return for your vehicle rather than driving (or walking) away with nothing once your lease is up. Ah, the ability to do whatever you want whenever you want with your vehicle, without the fear of additional fees -- it is a great feeling. When you own your car, you can drive as much as you want and customize to your heart's content: you own your vehicle. As long as you are committed to driving your vehicle for an extended amount of time and have adequate car insurance coverage, you are unlikely to lose out financially, as long as you make a sufficient down-payment and perform proper maintenance. Did you think that leasing a vehicle would exempt you from purchasing auto insurance? As you can see from the above, you were wrong! 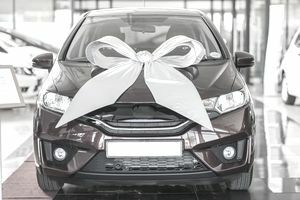 You’ll often have to buy a much more boutique policy if you lease a vehicle than you would if you purchased a vehicle and opted to purchase your state’s minimum liability coverage (though you can only do that if you own your car outright). Regardless of whether you decide to lease or buy a car, it’s vital that you consult a reputable insurance provider or insurance agent to figure out the type of coverage that’s best for you. The cons of buying a vehicle are minimal and accepted as a typical cost of American life by most people. Leases are cheaper in the short term, but in the long run, purchasing a vehicle is typically less expensive. Weighing the pros and cons will help you come to the decision that is right for you and your family. Do You Need More Than a Standard Lease? Can a Car Buying Service Take the Pain Out of Shopping for a New Car? Is Financing Your Car Going to Change Your Car Insurance?